An enticing list of tenants at the soon-to-launch East Market project just landed another coup. The Center City project led by National Real Estate Development will be adding Philadelphia favorite Federal Donuts to its lineup of commercial tenants when the mixed-use project is fully completed. For CookNSolo, the restaurant group behind Federal Donuts, the location will be its fifth in Philadelphia and second in Center City. As of fall 2019, downtown cravings for fried chicken and donuts can be satisfied on either side of Broad Street. 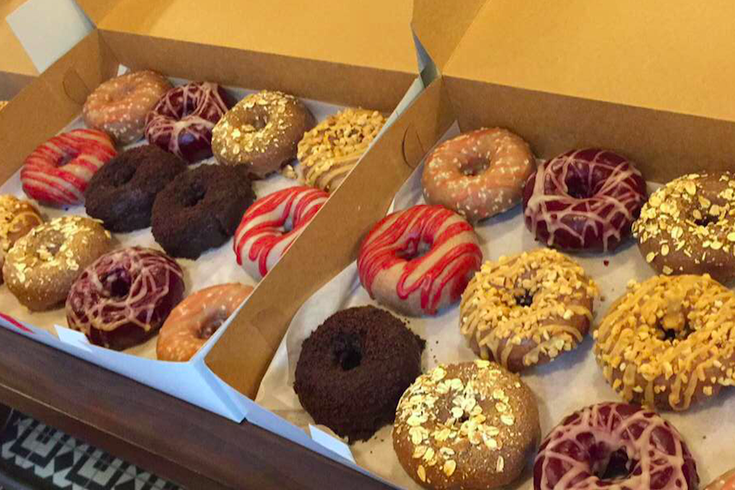 “Federal Donuts is loved by Philadelphians, and we’re proud to have such a celebrated brand join our project,” said Daniel Killinger, managing director of National Development. “Our vision has always been to create a dynamic neighborhood at East Market that combines national brands and local favorites as part of the many opportunities offered to live, work, shop and dine." In just a few months, East Market will open up its first residential tower, the Ludlow, at 1101 Ludlow St. The 17-story Ludlow features 322 apartments above commercial space on the lower levels, including architecture firm Bohlin Cywinski Jackson and Design Center Philadelphia. In what has been called America's hottest retail corridor, East Market figures to round out the area with destination dining and quick-service restaurants. Since the project's inception, East Market has signed MOM's Organic Market, Iron Hill Brewery & Restaurant, Little Baby's Ice Cream, Wawa, City Fitness and District Taco to its roster of commercial tenants. East Market will encompass 4.3 acres in Center City, part of a larger neighborhood revitalization in tandem with Fashion District Philadelphia at the site of the former Gallery. Developers hope to transform the entire block from Market Street to Chestnut Street and from 11th Street to 12th Street, creating a residential community around the upcoming entertainment and shopping district. The second residential tower, at 20 floors, will contain 240 apartments and an extended stay option provided by local firm ROOST Apartment Hotel, the folks behind the critically acclaimed boutique hotel at Wm. Mulherin's Sons in Fishtown.